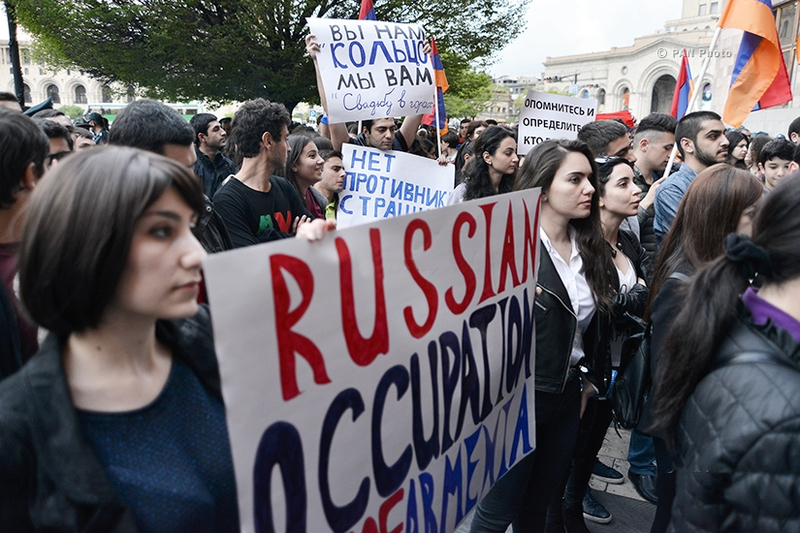 April 27, 2016 (Tony Cartalucci – NEO) – Another day, another protest in Armenia. 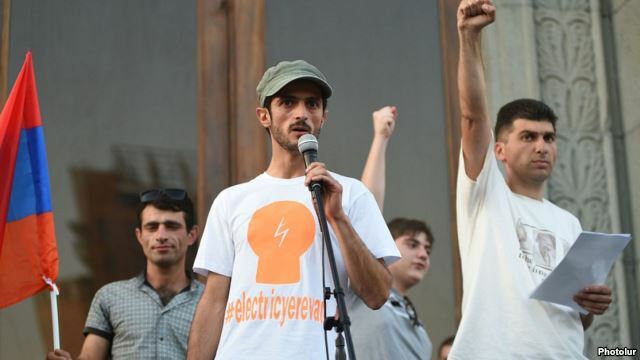 And if we were to simply believe the Western media regarding this ‘other protest,’ we might get the impression that the Armenian people are upset with Russian policy and “Putinism.” In reality, the protests are led by the same verified US-proxies exposed at the height of the “Electric Yerevan” protests mid-2015 which sought to undermine and overthrow the current government of Armenia in favor of a pro-Western political front more to Wall Street, London, and Brussels’ liking. Image: Davit Sanasaryan (sometimes spelled “David” and “Sanasarian”) hasn’t found a US-engineered protest he hasn’t felt compelled to join. He eagerly takes US cash to undermine the stability of his native Armenia, just like US proxies do worldwide. Image: Considering the US cash and support behind the leaders of this so-called “protest,” it might as well have been a delegation from the US State Department itself out on the streets of Armenia’s capital, Yerevan.